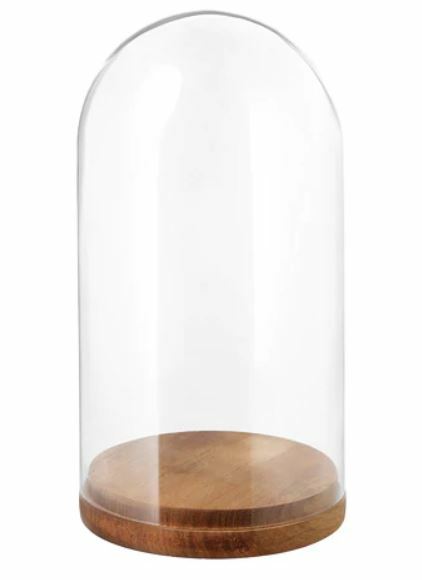 There are 25 bell jars total. Each with a 5.5in diameter and 10.5in tall. 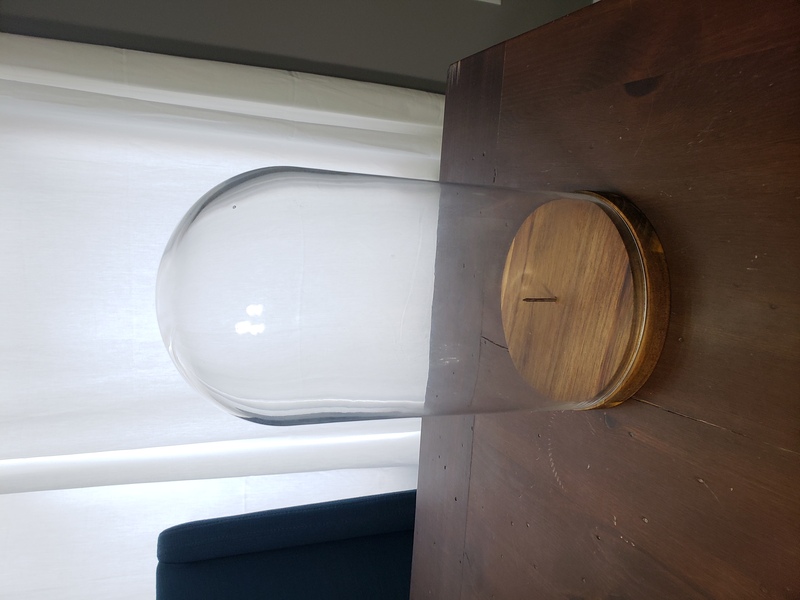 The base is solid acacia wood and the dome is glass. 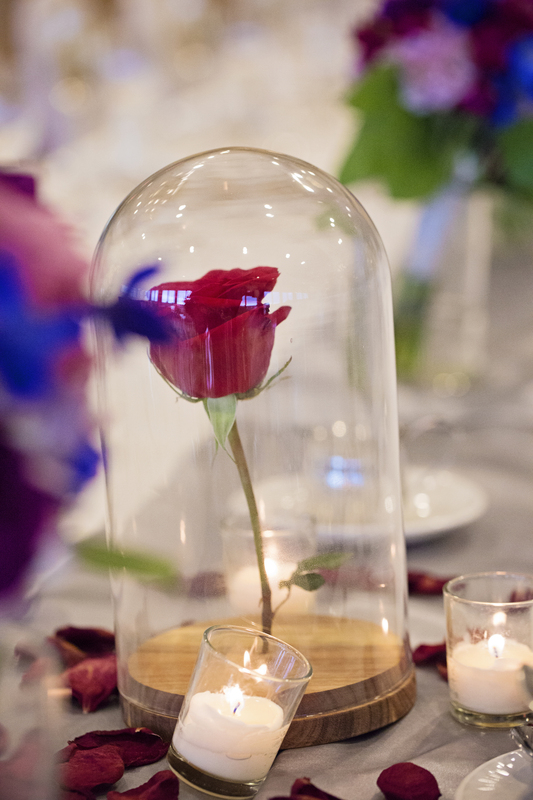 We used these as our wedding table centerpieces to display a single rose (beauty and the beast theme). 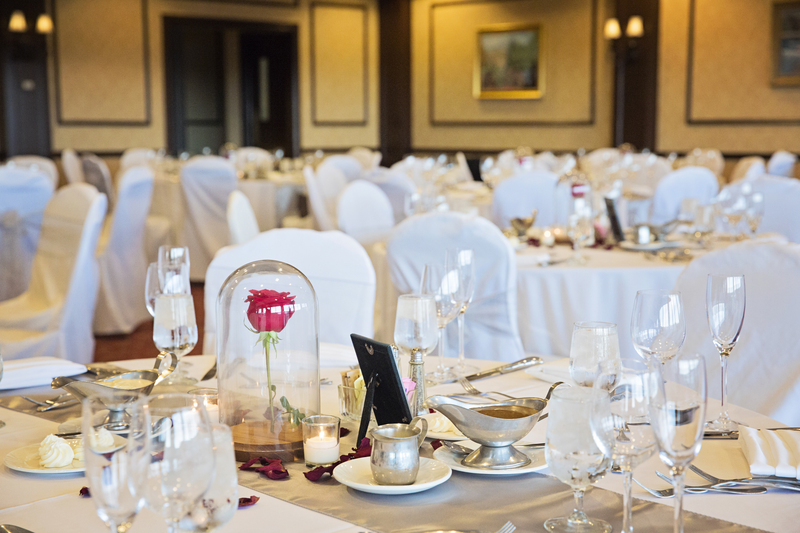 In order to hold the rose in place we put a nail in the center of each base so that we could spike the rose stem to the nail. Worked great and held for days. 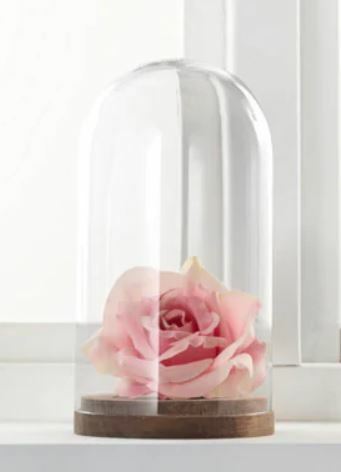 If you are looking to do something different with the bell jars the nail can either be removed or trimmed down.